I really like both of these but the left red armored warband is my favorite. Really hope these guys get AoS rules too. 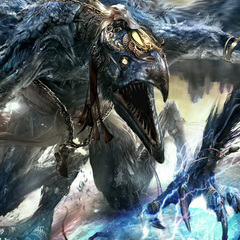 Also, a 2nd wave of fyreslayers would be awesome. So, looking through the images again, I think there is a good case to be made for the fact that we will have multiple Grand Alliances, maybe even at launch, or soon after. The last piece of this is the starter box. Check out the lower left hand corner. 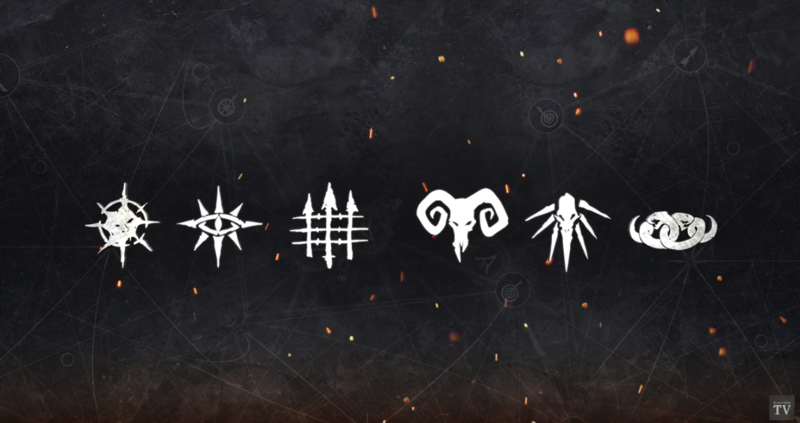 My proposal is that the symbol (which looks roughly like the 8 pointed chaos star) represents the Chaos grand alliance warbands in Warcry, and this is what is being previewed. Based on branding, let me go one step further and suggest that the garish red banner on the box also marks or is associated with the Grand Alliance Chaos branding. 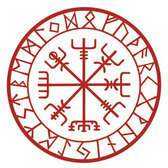 Check out the first image again and notice that the red is used as the backdrop for the symbol here. My called shot is that we will likely get other starter sets for other grand alliances that will have different associated symbols and colors. If I were to take a guess, I would say that we'll see blue (Order), black or purple (Death), and green or yellow (Destruction). I recognize this is grasping for straws, but it seems to make sense of the data we have. 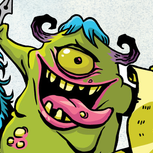 Edit: It is worth observing that Shadespire has similar color associated branding, with blue for Order, red for Chaos, purple for Death and green for Destruction. That's wishful thinking. They made it explicit that Warcry is about chaos warbanda fighting at the Allpoints. They could of course change that in the future to add.other warbands. But with all certainty not at launch (nor for a while, I would add). This is Necromunda. It is an excuse yo have parallel aesthetics from the main game. I am surprised that they limited thar power through the Chaos decision. But I do not think they mean to move closer to representing all factions and GAs. Yep, I do agree with you. I my hopes was than the showed somenthing more about AoS like : Slaanesh, light&dark aelves....this kind of stuffs. 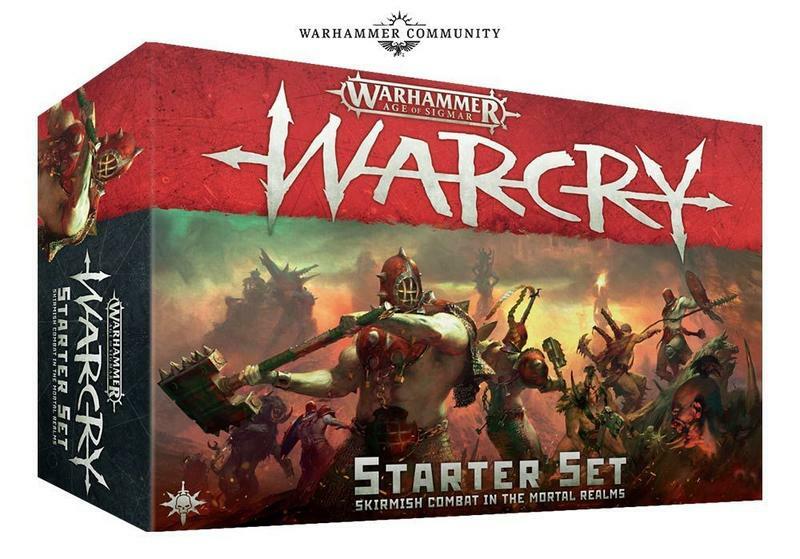 It's the Warcry icon, same as Kill Team has a Kill Team icon in the bottom left of literally every product. thing is focussing on just Chaos allows them to keep things tight and tidy, whilst also having a narrative reason that warbands from within the same GA are all trying to chop each other's heads off (destruction would work of course but doesn't have quite the central place in the narrative that chaos does). Don't know what I managed to do to spawn 4 posts, but ok then lol. Agreed. Nothing i've found or read supports the idea will be getting more factions. Community has even reaffirmed multiple times that this will being delving into chaos in new and interesting ways. Everything else is just wishlisting at this point. Can't say im interested at all in Warcry anymore. I'm sick of the boxed games, and this just turned into another one. it seems. Things I want from this game: solid rules that let me brawl on boards full of terrain, the ability to devote any of the warbands to any of the chaos gods, expansions that add in other GA based warbands, and really solid customization rules. Also skills, experience, buying gear and not having pre-made characters. Basically a slightly streamlined and balanced Mordheim set in the AoS equivalent of the Chaos Wastes. The game I always dreamed of as a teenage nerd! I was kinda lumping skills, experience, and not having pre-made characters in with the solid customization rules. My personal hope is that the warbands are very broad ideas (maybe realm based) that I can then filter down to the weird flavor of chaos I want. I really don't get these 'Judgements'. If you're saying special words to make a big magical thing appear, how is that not magic? Lore-wise you can explain it away however you like, but aesthetically this is magic. 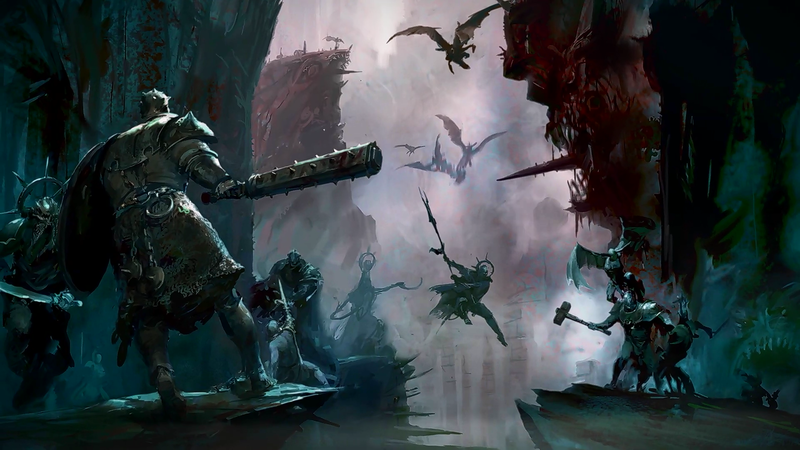 The idea of a Khorne priest swearing vengeance against all spellcasters in order to summon two giant floating blood-crying skulls that fly around the battlefield just seems like self-parody to me. It feels like business model over coherent game design - everything needs endless spells, so we've crammed them into the most magic-hating army in the game. Makes me a bit apprehensive about how they're going to do it for other traditionally non-magical factions. Yeah I definitely get a realm-specific feeling from the figs in the video. Metal and Beasts, kind of. It feels like business model over coherent game design, to me - everything needs endless spells, so we've crammed them into the most magic-hating army in the game. Makes me a bit apprehensive about how they're going to do it for other traditionally non-magical factions. They already have prayers as a thing, this just seems to be the Prayer version of Endless Spells. Maybe more factions will get them in the future. To be honest I think prayers were already a step too far - again, if you can say some magic words to make a dude's skin turn into metal, or make someone explode into a fountain of blood, for all intents and purposes that's spellcasting. These are just an even more ridiculous step over the line for me. I mean, if Khorne is perfectly fine with people killing their enemies from a distance via magical means, what is it about wizards that he actually dislikes? Traditionally the idea was that throwing a fireball was dishonourable/cowardly compared to one-on-one melee combat, but now it seems like that's fine as long as the fireball is made of blood. Yeah I’m with you on this. GW are excellent at converting lore into mechanics-often to the detriment of “balance”-because their aim is to simulate the character of armies. But this is as you say just a wrote copy of magic. 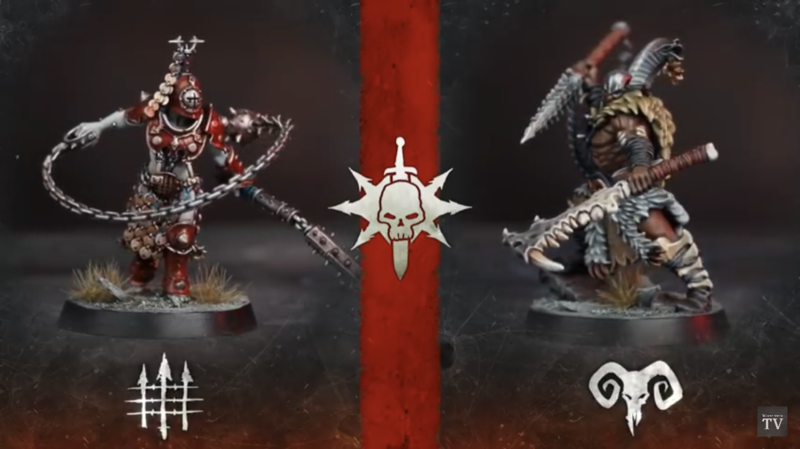 They could have thought of a better way to simulate the “judgement” of Khorne and surely it would involve something close and personal not a cowardly debuff from afar. It’s not Khornate at all. Khorne is just a hypocrit filled self loathing. It is what makes him so angry. khorne demons are magical creatures just like all the others. What is summoning if not a magic spell? These 'judgements' are just another example of Khorne's hypocrisy. On a more serious note don't roll an 8 if you are in range of those skulls. Blimey! I'm ok with Khorne Endless Spells. I treat them like a divine intervention made by a furious god full of hatred. Wow those Judgements. The axe at D3 mortals to anyone it passed across + D6 mortals to anyone within 3" + -1 to hit for non-Khorne units around it. And then the skulls at -2 to cast within 12", instant unbind on 8's + D6 mortals. And then remember there's no counterplay to these things, you don't get to control them if you take the first turn in a battle round, and you just have to hope the opponent rolls them off the table. Of course Khorne would get the best magic in the game. These are going to be silly. I would hope that at least these 'spells' cost a ton of blood tithe or require a priest to take friendly units out behind the shed to get them going.